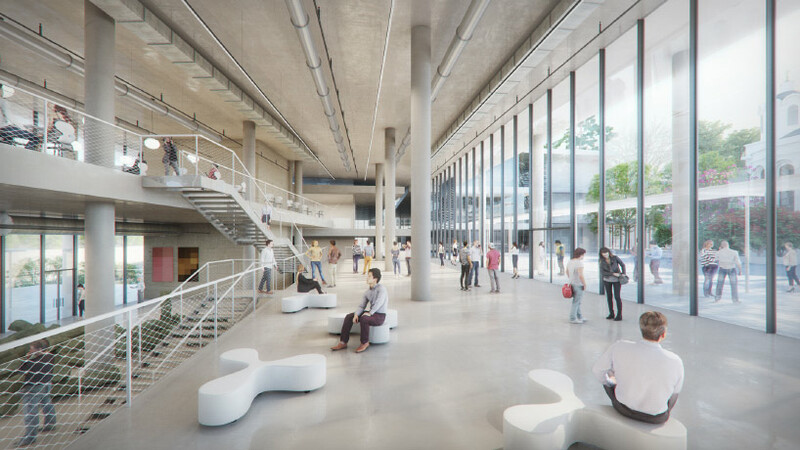 in 2013, bezalel academy of arts and design — israel’s national school of art — revealed plans to build a new campus in the heart of jerusalem. now, the project — designed by japanese firm SANAA — is well underway after breaking ground in 2015. spread over six floors, two of which will be below ground, the building will be glazed in order to reflect the surrounding structures, while allowing views inside. 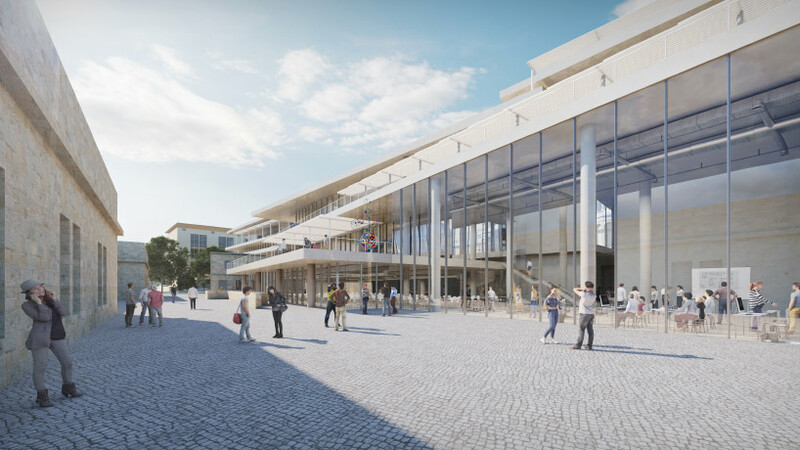 the new campus will include spaces for studios, classrooms, workshops, and administrative offices as well as public areas such as galleries, a store, a café, and a cafeteria. bezalel academy of arts and design was founded in 1906 by the artist boris schatz. 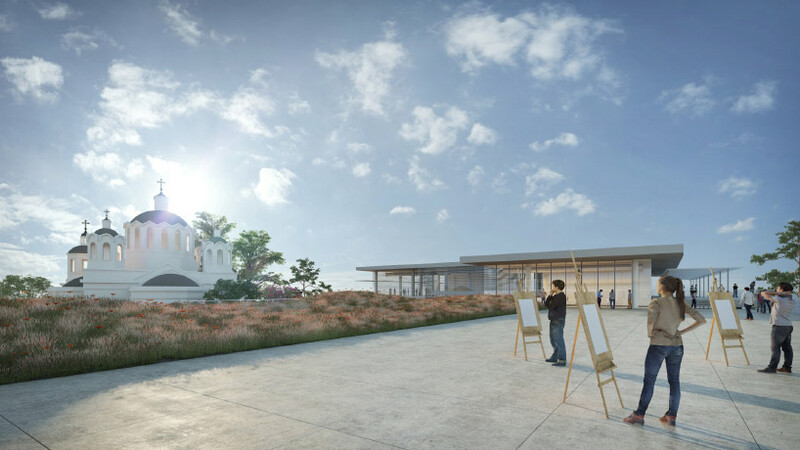 the institution commissioned SANAA, alongside israeli firm nir – kutz architects, to design a new educational complex in jerusalem’s russian compound on a hill overlooking the old city. 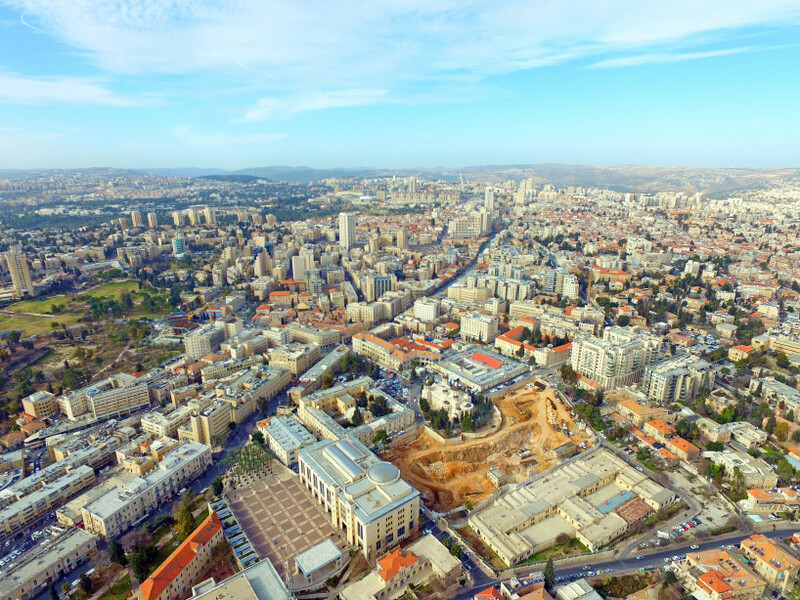 to be known as the ‘jack, joseph and morton mandel campus’, the building will occupy 42,000 square meters and is expected to bring about 2,500 students and 500 faculty members to the city center. in order to integrate the building into its setting, and to offer views towards the city below, the design consists of exposed concrete slabs that follow the natural gradient of the landscape. this horizontal layout is intended to allow natural light to infiltrate the building on all sides, while ensuring panoramic views out. internally, the campus is connected by ramps and stairs that are intended to create free flowing movement between the different levels. outdoor courtyards have been conceived as meeting areas paved with jerusalem stone and populated with vegetation that echoes the native landscape. 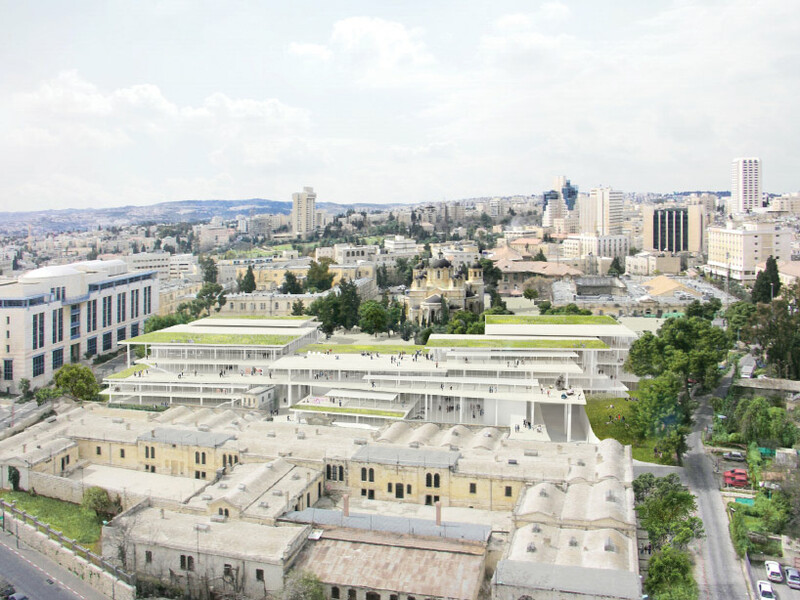 the school also hopes that the campus’ geographic location, and its focus on public exhibitions and academic events, will create a connection between east and west jerusalem and serve as a meeting place for jews, muslims, and christians; secular, religious and ultra-orthodox. 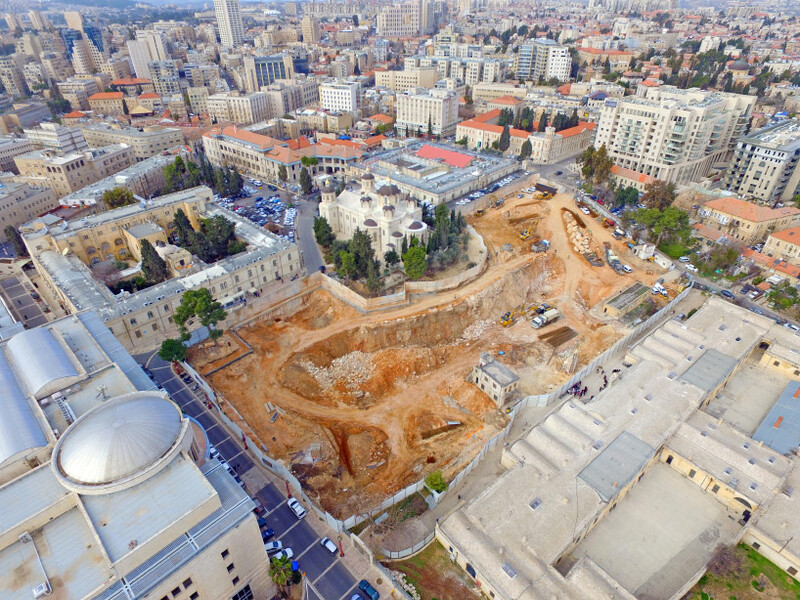 bezalel has now completed its on site excavations, and is preparing to begin infrastructural work in march 2019. the academy aims to complete the construction of the building in time for the school’s academic year beginning october 2022. see designboom’s previous coverage of the project here.